What can (and should) aquarists do with a deeper understanding of Clownfish biodiversity? I was raised as an aquarist, and breeder, on African Cichlids. This group of extremely popular fishes often shows examples where the population of a species is outwardly different between every small rocky outcrop it occurs at. As such, many of these species and forms, having never been examined by scientists, are still sold today with only a trade name. Knowing what you had, and more importantly getting the fish you wanted, required a solid collection location and a supplier you could trust. From within that subculture there is a tremendous value placed on the uniqueness of every race and population. Lake Tanganyika, what some might consider a massive inland freshwater sea, is home to a debatable number of species from the genus Tropheus; most references currently suggest there are somewhere around 4-6 species. But within those species, there are numerous additional geographic variations, and all are very distinct. The running total of variants is easily upwards of 40 or 50 forms now, maybe more since new forms are still discovered and debated. The species lines of Tropheus spp. may be redrawn time and again, but in the end, a black fish with a wide yellow band from location X is very different from a black fish with two red saddle marks from rocky outcrop Y, even if they are considered to be the same species (see this example of Tropheus diversity in a map from 1998…someone needs to do an updated version). 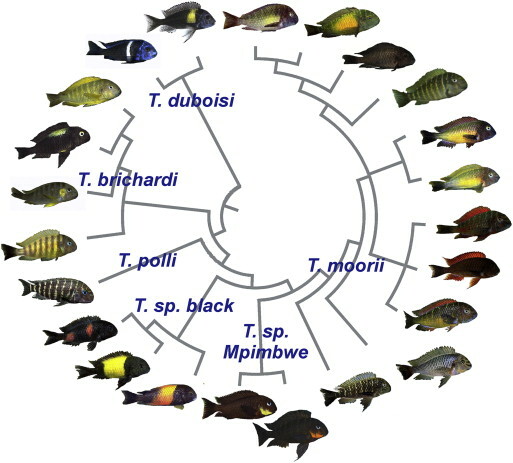 We see this level of diversity recurring again and again throughout the Rift Lake Cichlids; ultimately there are potentially thousands of unique races, variants, and forms in the wild waters of Lakes Malawai, Tanaganyika, and Victoria. How do respected Cichlid breeders deal with uncertain taxonomy and endless diversity? The ethical line drawn by Cichlid enthusiasts stems from three very concrete realities – acknowledging and working around what we don’t know; realizing these fish are disappearing from the wild; and realizing we may someday only have what we’ve kept around for ourselves. Strict adherence (or ANY adherence) to current taxonomic status or rank as any sort of guideline for mate choices has long since been left behind in serious Cichlid breeding. Since many species lines are not known, and day by day more “variants” or “races” find themselves being taxonomically described as unique species, mixing and interbreeding between the individual populations isn’t tolerated by most Cichlid enthusiasts. In the cases of fishes like Tropheus, matings between fishes from nearby reefs, even if thought to be of the same species, is beyond simply taboo; if people find out you’re intentionally doing it, you may never be able to sell a Cichlid again. Not only would the mixing of geographic variants muddle the unique characteristics of each separate population, but there are most certainly conservation issues surrounding these lakes. Overfishing, habitat degradation, and invasive species are already wiping out untold numbers of fish right now; there are fish that I once freely sold as wild-caught specimens that are now considered by experts to be endangered. Aquarists may well wind up with these species solely residing in the tanks of home aquarists. Whether or not aquarium-maintained populations could be used to restore wild populations is not an end goal the aquarium hobby and trade is consciously working towards. The more immediate reality that we, as aquarists, may lose these very beautiful fishes in our own tanks, is reason enough to endeavor to preserve them for ourselves, regardless of the greater whole. Since so many fish species are a fad away from being lost to the trade and hobby, many (perhaps most) dedicated enthusiasts place the propagation of pure species and their numerous geographic races as a priority over other ornamental types of breeding. The pursuit of “ornamentalism” or aesthetics by most Cichlid enthusiasts is achieved not through hybridization, but rather by placing emphasis on presenting the highest quality of fish; it raises the bar for everyone through better husbandry and care. It is fair to say that if you cannot be pleased with the diversity afforded to you within thousands of natural Cichlid forms that already exist, forms which may need your tankspace if the hobby as a whole is to keep them around, your interests might not be taken very seriously by the most respected enthusiasts around you. To be fair, it is also true to say that Cichlid-keeping has drifted into separate camps; just as the bulk of our AMAZONAS Magazine readers are likely very averse to hybrid and ornamental forms of Cichlids, so too there is a large general population consisting of uninformed and unconcerned hobbyists, but also ornamental die-hard enthusiasts, who embrace and pay large sums of money for the most outrageous looking highly colored, bulbous-headed hybrid Flowerhorn. It is my opinion that schism could happen (and is already happening) within the world of marine fish breeding; even I am in part to blame for a current separation between many well-respected, long-established marine fish breeders, and the newer cohort of designer enthusiasts. Since we are such a smaller group at this time, wouldn’t it be better if we all got along? The conservation ethic ingrained within me decades prior during my time working for a Cichlid hatchery led me to believe that something like the Picasso Percula would be the death of the normal, 3-barred wild type specimen. My opinion has certainly changed in many ways over the last 8 years, as I discussed in the Genetics and Hybrids articles in our prior issue. In short, the basic application of common sense can allow for designer genes to exist within species, even in geographically pure lines, but only if that purity is maintained (the cichlid hatchery I worked at was instrumental in introducing an albino form of Astatotilapia latifasciata…no harm, no foul, those fish just had a gene that could easily be eliminated). Amphiprion ocellaris, percula, and their hybrid Percularis…but which one is which? If you can’t tell just by looking, that kinda proves the point. Percularis (the middle fish) perfectly blends the traits of Ocellaris (left) and Percula (right), destroying the small visual cues that helped differentiate the parental species while also providing virtually no aesthetic merit of its own. This is a “bad hybrid”…no good, financial or otherwise, can effectively come from it. This is why it’s simply “not done” by any ethical, responsible breeder in the first place. A special thanks to Sustainable Aquatics for sharing what might be one of the ONLY good photos of the Hybrid Percularis we’ve ever come across (All images by Sustainable Aquatics). However, my concern of conservation is still present, and is what first drove me to dig deeper into the natural species and geographic variants that already exist within our wild clownfishes. These unique biogeographic forms of Clownfish are extremely valuable to me, and when push comes to shove, I believe they still should take priority in our own tanks, whether we’re simply hobbyists or serious commercial breeders. Why? Because we may not always be able to just go to the reefs to “get more.” Some of the natural, wild forms are only routinely available because of captive-breeding in the first place, and at least two, the Black Ocellaris and Amphiprion mccullochi, are unlikely to ever be collected again from the wild. How Do We Lose Fish in the Trade? I am increasingly concerned that any and all living US-based examples of “Amphiprion rubrocinctus” (the Australian Ruby Clownfish found along the north coast at places like Darwin and Ningaloo) are in fact suspect, and may all in fact be representatives of A. barberi and/or inadvertent hybridization. At this point, it seems only Sustainable Aquatics still might have the actual A. rubrocinctus. I would have to talk about this more with Matthew Carberry before I completely bought in. Given my skepticism, I placed multiple direct inquiries to collectors in these regions in an effort to get pure A. rubrocinctus back into the US. So far, none seem very willing or interested to export true A. rubrocinctus from the wild. As a result, for now we might have lost the real A. rubrocinctus in the US through a series of unfortunate events, between misidentifications with other species and/or unknown hybridization. There are a lot of people who will simply shrug and question “so what? Rubrocinctus is ugly…” But in doing so it represents an attitude which suggests that the natural biodiversity is only important if it’s aesthetically interesting. I have trouble stomaching the implications of losing a readily breedable species in our hobby. If our hobby and industry is really trying to be a “force for good”, and to have a conservation claim, then the loss of a species in the trade through disinterest is completely unacceptable…it suggests we do not care nearly as much as we’d like the outside world to think we do. If a species or variety falls out of favor, and breeders stop producing it, aquarists may well never see it again. If we collectively obliterate what makes a variety unique, through careless breeding choices or an over-reliance on taxonomic standing over bioegeographic truths, we may never see these forms again. This “save it or lose it” reality is at the heart of the “Conservation Breeding” I write about so much. The understanding that we may not be able to go back, so we must be better stewards of all that we have, should drive what we can do within “The Aquarium Ark.” It is not “arking for reintroduction” as a sole end goal, but the preservation of diversity for ourselves and future aqaurists first and foremost, which can, in turn, create other important opportunities for conservation that might not otherwise exist. Clownfishes are one of the first fish we come to love, but that love is perhaps often better characterized as infatuation. My goal for this series was to illuminate the thinking of aquarists who invested the time to “go deep” into the world of modern Anemonefishes; I am hoping to foster a deep yearning, a passionate desire, and a love that’s pure to the core. Clownfish aren’t simply beginner fish to be relegated to faded memories like a junior high school crush. Clownfish will be with you long after your Fairy Wrasses have jumped ship, long after your micro-Gobies have withered and passed over the course of their natural one-year lifespans. 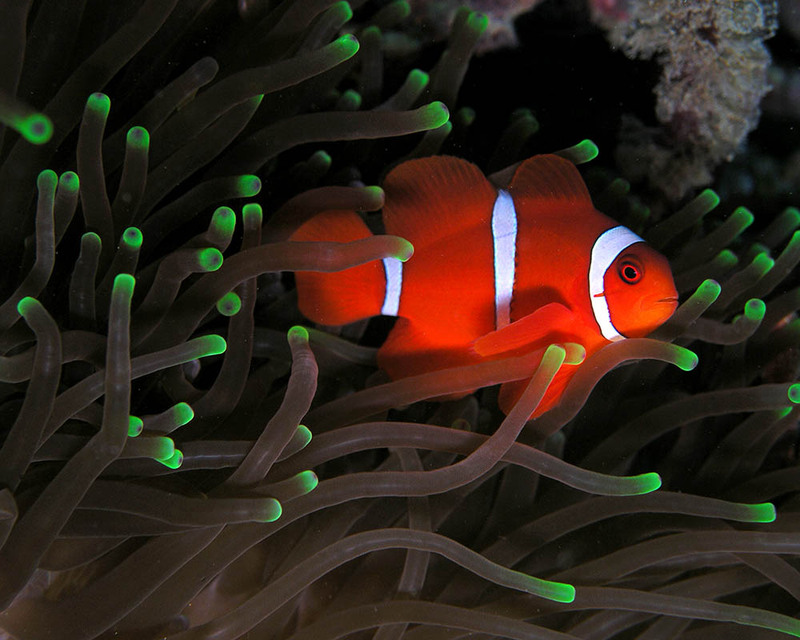 Let’s give the Clownfishes the consideration and respect they deserve. When it comes to my concerns about “Designers” vs. “Natural” Clownfish, I believe I’ve found the way that “designer” and “conservation” breeding can coexist. To the breeders out there, it’s that foundation of transparency and “thinking before doing” that makes all the difference. The responsibilities of clownfish breeders, as I see them, could be summarized as a “do no harm” mentality, which can work, but only if breeders put the preservation of natural biodiversity at the highest priority, and then put personal ambitions well below that, tempered by better understandings of genetics and how hybridization can go from being a non-issue to a very future-threatening endeavor. This is an ethic that all marine fish breeders need to embrace. That said, I do believe we are too hung-up on the designer craze and aren’t appreciating what we already have. Market values reflect nothing more than what people are willing to pay, and what people want to buy tends to be whatever the fad is at the moment. It seems that a trading-card mentality has set in on the designer clownfish breeding community, and I am alarmed and dismayed to see that. I get the impression that many of the aquarists I meet are likely to profess some sort of “conservation” concern for the coral reefs of the wild. Too often perhaps, hobbyists like to say that our hobby “saves the reefs”, but as many of my colleagues are quick to point out, that is a very misguided belief about what our hobby can and does actually do at this time. The truly dedicated freshwater aquarists that are active in clubs, breeder award programs (BAPS) and efforts like C.A.R.E.S., do a far better job at “conserving” that which they actually can conserve. As the still immature marine breeding hobby starts to take shape, far too many marine fish breeders and enthusiasts (perhaps at all levels) are foregoing the wisdom that exists such parallel interest groups (like our freshwater counterparts). As a result, I see too many aquarists putting misinformed, blatantly wrong, or incomplete viewpoints forward, ultimately as justifications for doing what amounts to “whatever they feel like”. These viewpoints are often combined with the rather short-sighted view that “ANY captive-bred clownfish keeps a clownfish in the reef”; breeding the hybrid Percularis could well be considered a “conservation win” under such thinking. While the shallow “any captive bred clownfish leaves at least one on the reef” is logically true in the most basic sense, using that sentiment as a free pass to ignore the arguably fundamental conservation imperative breeders have creates big problems. We all like to “think” we’re being good stewards of the reef life we treasure, but in truth, we are potentially our own worst enemies. We cannot be arguing that we are “saving the reefs” all while trashing the natural biodiversity of our captive populations in the name of unchecked ornamental pursuits within designer clownfishes. True, something like the Lightning Maroon Clownfish afforded breeders a unique opportunity to enjoy both the designer aspects of a genetic mutation, while also establishing a viable biogeographically intact captive population. This fish straddled the line, being both “designer” clownfish and until this year, also being a lineage of fish restricted to a pure, known PNG provenance. 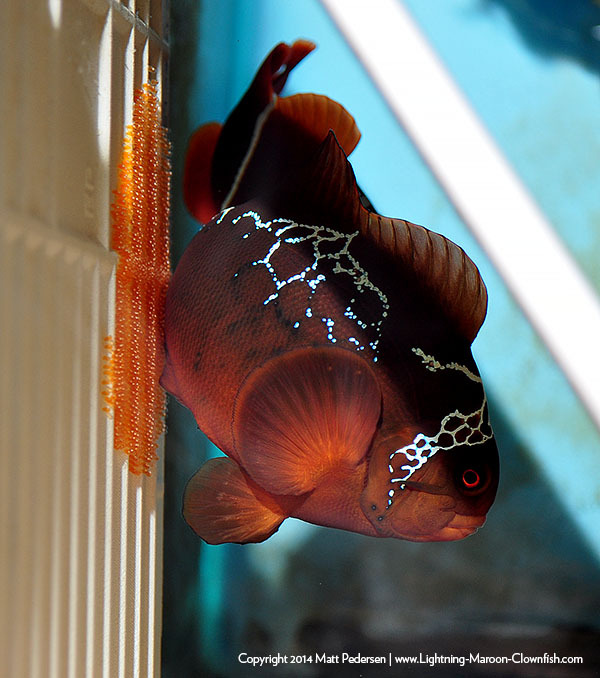 This allowed us to have both the designer genetic Lightning Maroon, but also had the gene residing in a captive population of pure PNG Maroon Clownfishes. Despite years of prior warnings and writings, the unconscionable but inevitable has happened. The original Lightning Maroon, now in captivity over 4 years, has only spawned with another PNG-collected Maroon Clownfish. All next generation fish produced by Sea & Reef Aquaculture were also restricted to pure PNG provenance. All “Lightnings” and “Morse Codes” in the trade were PURE representations of the species and biogeographic variant in ever respect, but all that is about to be forever changed. With multiple designer breeders now actively hybridizing the PNG Lightning (White Stripe) Maroon Clownfish with Gold Stripe Maroons (a very different variety and possibly a different species), the future purity of fishes sold into the hobby as “Lightning Maroons,” along with their normally patterned siblings, is going to quickly become suspect. The unfortunate side effect is that we lose the species preservation benefit afforded to the PNG form of Maroon Clownfish by the “Aquarium Ark” through the brazen actions of a few selfish individuals. We could even see this careless breeding also destroy the genetic integrity of the Gold Stripe Maroon, particularly if or when purported “Gold Lightnings” start to be sold off, and then confused as being “pure” representations of the Gold Stripe Maroon. Prior to now, Lightning genetics and PNG purity were synonymous. Going forward, that will be lost. Any prospective breeder now has an extra layer of fact-checking that will need to be applied to any “Lightning” Maroon purchased. In short – where did the fish come from, and is it pure? Who can you even trust? The aquarium industry can’t claim a “species preservation benefit” if selfish, shortsighted breeders put their own ambitions ahead of any other propagation considerations. The biggest concern is that you may not be able to tell if the fish is pure just by looking. Gold Stripe Maroons and White Stripes already look the same for the first 6-12 months, resulting in Gold Stripes sometimes being sold as White Stripes, and vice-versa, the consumer taking on all the risk unless buying adult fish or from a very trustworthy source. Before this year, we could trust that the Lightning Maroons and their siblings were pure because the two breeders producing and selling them (myself and Sea & Reef Aquaculture) had gone to great lengths to ensure that biogeographic purity. Depending on where you get your “Lightning” Maroons in the future, it might take a genetic test in order to weed out the hybrids from the pure ones; this is a very sad state of affairs, in my opinion. I must qualify that sentiment by noting that most breeders, when presented with the arguments for conservation-minded breeding, and the arguments against making dangerous hybrids, understand. And truly, not all hybrids represent problematic fishes; many are benign and perfectly enjoyable. Still, the problem of hybridization, aided with the excuse of taxonomic standing over biogeographic realities, already existed in the trade far before I even realized it was happening. It is arguably already too late for the Darwin Black Ocellaris; people where hybridizing those with Orange Ocellaris as early as 2004, and the industry really ramped up this hybridization in the pursuit of the “Black Snowflake.” To get a known pure Darwin Black Ocellaris these days, the only certain way I can think of is to find someone who has broodstock pre-dating 2004 or so, because those fish should pre-date any known hybridization. This is a HUGE loss for conservation of the Darwin Black Ocellaris, and a huge headache for anyone trying to do right by the suspected species. Up until 2014, it wasn’t too late for the Lightning Maroon Clownfish and the PNG White Stripe Maroon it represents, but those days are at an end. I cannot un-make the very damaging Gold Stripe Maroon x Lightning Maroon hybrids being produced. I can only speak out against them and discourage everyone from buying them. Of course, shortsighted and uninformed breeders will probably sell this fish out under a wide range of creative and probably misleading names, and in my own experience I’ve found that the trade has a hard enough time getting trade names right in the first place. In short, the end consumer may get a hybrid and never even know it; this is why such fish are so problematic. Of course, the market is to blame too; to date, it has rewarded the fads. It has rewarded what is new without questioning whether it was beneficial or harmful. There are always going to be breeders who are more than willing to justify harmful projects by saying they are simply meeting a demand — if they don’t do it, someone else well. This uncoordinated market reality has relegated common species to be afterthoughts we don’t see in many tanks these days, while the tantalizing false hope of “What about a GOLD Lightning Maroon? !” virtually ensures that someone, somewhere is always going to be willing to make a bad decision which everyone else will pay for one way or another. I hope that exposing you, our readers, to the wide array of natural variations means that perhaps you’ll find something “off the beaten path,” and in turn may reward the breeders who are not solely hanging their hats on endless rehashing of designer genes and hybridization among a few commonly available and routinely bred species (and their now sometimes indiscernible hybrids). I remember the initial concerns of our CORAL editor in chief, James Lawrence, who wondered about the impact of highlighting all the amazing wild forms of Anemonefishes. Would CORAL Magazine be seen as promoting wild-caught fish? Could this information cause a rush on rare species and forms, steering demand away from captive-bred fish, which are plentiful and easier to care for? Of course, I’m reminded of such concerns when CORAL first published my success breeding and rearing the Harlequin Filefish, Oxymonacanthus longirostris. It’s fair to say that while I became aware of more people attempting to keep the species (and doing so successfully), I never got the impression that my newfound methodologies caused any massive uptick in collection of this species from the wild. And in the same vein, I don’t really think that we need to be concerned that this article series will cause massive new demand for fishes from the wild, even if my goal is to increase appreciation of these forms. The reality is that commercial scale propagators are already starting to act as better custodians of geographic variations of Anemonefishes; this includes already selling fish with known provenance data and even carrying more than one geographic form of a species. The captive-bred options of many biogeographic clownfish varieties are already there for people who have heard the message and care to make a different choice than buying into the latest designer fad. 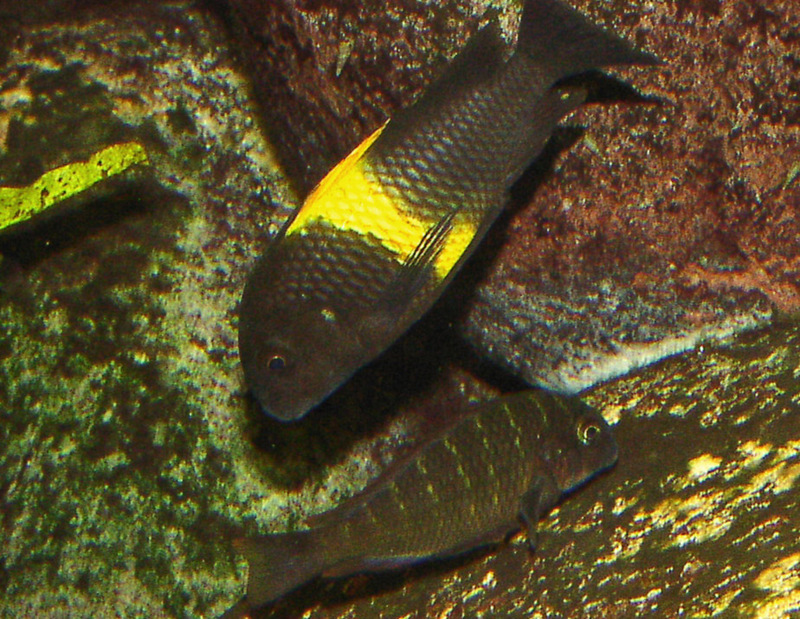 Amphiprion mccullochi (left), and Amphiphrion “Domino Black” on the right. Both are black fish with white spots on their cheeks. Hobbyists seemingly shun one, yet gobble up the other. Yet one of these fish is clearly more important from a conservation standpoint. Which is which? I’ll still be an evangelist for the wild forms as captive-bred fish, whenever possible. So, if someone wants a black clownfish with a white mark on the gill cover, I’m always going to say that selecting to keep Amphiprion mccullochi is a far better choice than a Domino Black Ocellaris. While buying either the Mccullochi or the Domino Black Ocellaris as a captive-bred fish might give you the feel-good notion that you “kept a wild clownfish on the reef,” only one of these choices creates a positive aquarium-based conservation benefit for a rare species directly within our own hobby. If I have to spell it out for you, the “better” fish’s name starts with Mcc. I strongly encourage you to think before you purchase. The power to steer the Aquarium Ark has always largely laid with the consumer. For now, I am concerned that we are headed on a course that has already been traveled before, and it’s not one I think we should be going towards again. Breeders need to make money, so they’re not likely to maintain dozens of geographic variations of naturally occurring species if aquarists aren’t buying them. As a breeder myself, I’m faced with an interesting reality: try to rear every Lightning Maroon Clownfish spawn I can, because I know that pays the bills. And yet I still have Fire Clowns (A. ephippium “Sumatra”) and a number of other species types quietly tucked away. It’s been well over a year since I bothered to raise a batch of Fire Clowns; I still have offspring from the last time around, and I’ve loaned the pair out to a fellow breeder to simply tick another species off his list and then they’ll come back to me. One small batch of this species will last my client base for years. I wish that would change, because it makes a world of difference in the future of a fish like A. ephippium in our hobby. I’m one breeder with one cherished pair; I can only do so much. Your choices do matter, tremendously. If you reward hucksters who slap creative re-names on designer genetics mutations to create “artificial rarity,” and then offer these fish at extraordinary prices, you’ll foster more of the same. But if we can collectively come to better appreciate, prioritize and value the natural biodiversity of our treasured Clownfishes, we will ensure a diversity-rich future for Clownfishes on all fronts. This is truly the treasure, and the challenge, when it comes to our love affair with the enigmatic anemonefishes we cherish. Thank you for reading this series; if you missed anything, return to the Index. All images by Matt Pedersen unless otherwise noted in the captions. Matt, I quite in awe about the first section of about the fish from Lake Malawi . Before I started in SW I had multiple tanks of Africans, I never knew there was such a wide diversion of the same species. I was a basic , If I liked the look of the fish I bought it. It took a few years of having SW fish and reading more articles such as yours have things opened my eyes. I live in Rhode Island. The hobbyist there are very new to the hobby and have the same thinking as I did years ago. I believe there are more hobbyist out there then breeders, but the basic hobbyist “feed” these breeders unknowing. For these basic hobbyist to understand what the articles you have written on this subject are about, I believe the scientifics must be toned down a little for these hobbyist to get out of the “what difference does it make” attitude. Spreading your experience and knowledge, is great to the the fish ” for no other word” hobbyist that understand the meaning of your articles. Most common fish hobbyist dont know the species true name or the difference. They dont research the fish. How can we teach these hobbyist what you mean to a less knowledgeable hobbyist except to make the distinction between the advanced hobbyist and the common hobbyist. I know what I have wrote here is off of the subject of your article but spread your knowledge to the more common hobbyist, who by the law of supply and demand really run this hobby. Rich, I don’t think the burden solely lies with consumers; the hobbyist is the last gatekeeper, but as you’re quick to point out, also one of the least informed. I believe it’s important to not “dumb down” the science too much; oversimplifying the issue will simply perpetuate a bad understanding and a certain level of people who “think” they know what they’re talking about, but in fact don’t. That said, this article is written for anyone and everyone who reads it – breeders, retailers, wholesalers, conservationists, academics and other scientists and yes, the person with a 12 gallon nano. I’m not going to reach everyone with this messaging, that’s a historically proven fact. But to plant the right seed in the right people does make a difference. This means that breeders, retailers, wholesalers, and pretty much everyone else who has a say in what the market does and offers, ALSO have the opportunity to step in and use their heads to make informed decisions. Great article! I agree that more responsibility needs to be taken with regard to maintaining captive lines with points of collection being as strong a consideration as species identification when pairing. I worry about our access to such diverse fish in the future and the ability to maintain access to genetically “pure” lines when (not if) more points of collection are closed to the ornamental trade. Great article! I agree that more responsibility needs to be taken with regard to maintaining captive lines with points of collection being as strong a consideration as species identification when pairing. I worry about our access to such diverse fish in the future and the ability to maintain access to genetically "pure" lines when (not if) more points of collection are closed to the ornamental trade. Rich, I don't think the burden solely lies with consumers; the hobbyist is the last gatekeeper, but as you're quick to point out, also one of the least informed. I believe it's important to not "dumb down" the science too much; oversimplifying the issue will simply perpetuate a bad understanding and a certain level of people who "think" they know what they're talking about, but in fact don't. That said, this article is written for anyone and everyone who reads it - breeders, retailers, wholesalers, conservationists, academics and other scientists and yes, the person with a 12 gallon nano. I'm not going to reach everyone with this messaging, that's a historically proven fact. But to plant the right seed in the right people does make a difference. This means that breeders, retailers, wholesalers, and pretty much everyone else who has a say in what the market does and offers, ALSO have the opportunity to step in and use their heads to make informed decisions. Matt, I quite in awe about the first section of about the fish from Lake Malawi . Before I started in SW I had multiple tanks of Africans, I never knew there was such a wide diversion of the same species. I was a basic , If I liked the look of the fish I bought it. It took a few years of having SW fish and reading more articles such as yours have things opened my eyes. I live in Rhode Island. The hobbyist there are very new to the hobby and have the same thinking as I did years ago. I believe there are more hobbyist out there then breeders, but the basic hobbyist "feed" these breeders unknowing. For these basic hobbyist to understand what the articles you have written on this subject are about, I believe the scientifics must be toned down a little for these hobbyist to get out of the "what difference does it make" attitude. Spreading your experience and knowledge, is great to the the fish " for no other word" hobbyist that understand the meaning of your articles. Most common fish hobbyist dont know the species true name or the difference. They dont research the fish. How can we teach these hobbyist what you mean to a less knowledgeable hobbyist except to make the distinction between the advanced hobbyist and the common hobbyist. I know what I have wrote here is off of the subject of your article but spread your knowledge to the more common hobbyist, who by the law of supply and demand really run this hobby.